Having built, bought and partnered its way into the textbook distribution business, Chegg is launching a long-promised mobile web version today that lets readers easily read and mark up their textbooks. Of course the move is timed with Apple’s forthcoming announcement event (like Kno’s was), which based on everything everyone is hearing, has something to do with offering and/or creating digital textbooks. 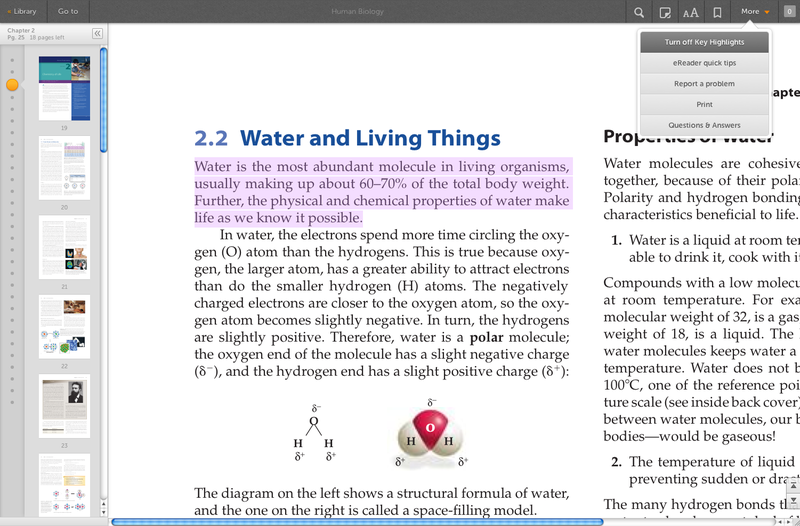 But regardless of any potentially competitive plans, Chegg’s eTextbook Reader has been in the works since August, back when Leena wrote a preview of it. Built in HTML5 by the team from acquiree 3D3R, it provides all sorts of features that I wish I had available when I was in college last decade (at least as I saw them over a screencast). 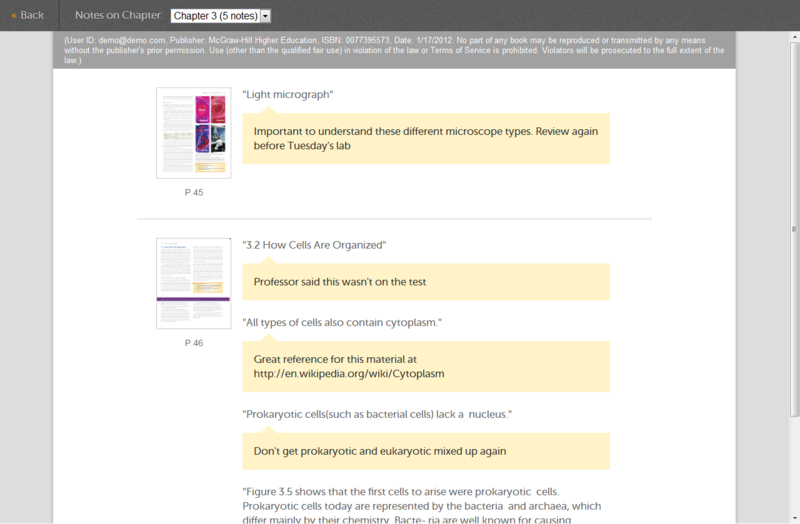 On top of the basic functionality — letting you buy or rent textbooks to read via an internet-connected device — it includes a way to highlight and save text, write notes in the margins, write notes for any page, and view all of these annotations in an aggregated view. So you could read and mark up a chapter, and then go check out what you noted later on when you’re studying for a final. 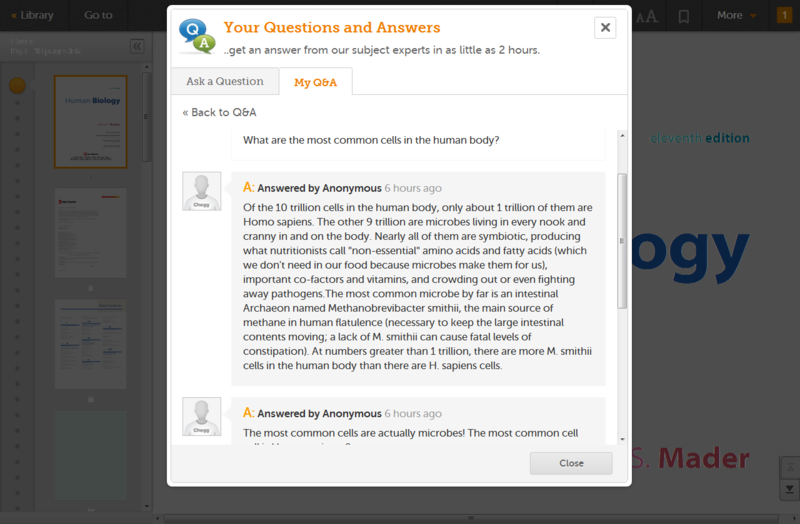 Other features include a view of the passages that users have marked up the most, a tool for looking up definitions from Wiktionary and context from Wikipedia, and a way to ask questions drawn from the text you’re reading, and get answers back from the existing community of Chegg users. Chief executive Dan Rosensweig emphasizes to me that HTML5 as a technology has been more than suitable for all of its requirements. Indeed, the look and feel of the app looked great from what I could see in the screencast and should be popular with the company’s 4.5 million users. But going that route also makes business sense, considering Amazon’s existing interest in publishing, and Apple’s emerging one. Apple, according to the latest rumors, could be integrating some sort of textbook creation or distribution feature directly into its iBooks app. More broadly, Chegg has syndication deals with five top textbook publishers, meaning that unlike some competitors it’s not getting sued by these content owners as a result of providing popular titles to students. That could prove to be a key part of how it differentiates itself on top of improvements like the reader today.